I have the GW finecast herald and rather than use the Masque as the other I decided to kitbash one. 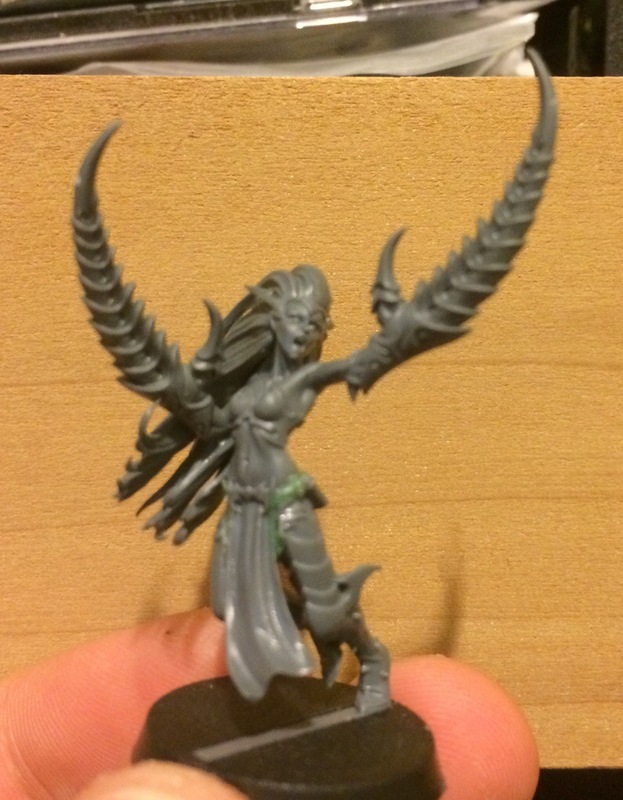 I decided to use the Dark Elf Supreme Sorceress as the base of the model. 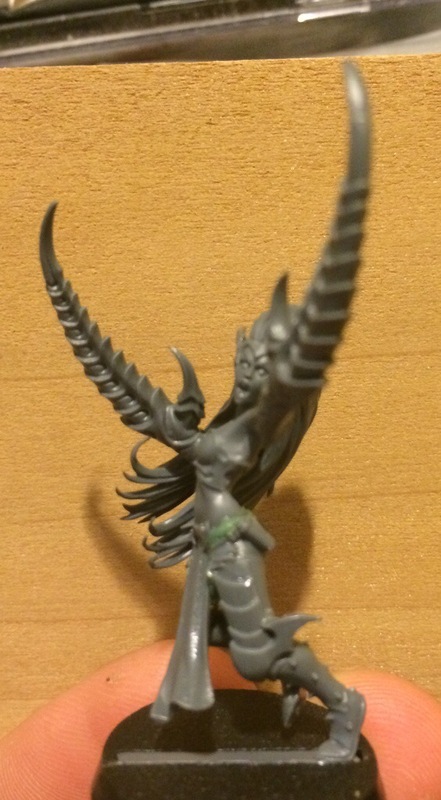 However, once I opened the model, I found that the arms and legs were really spindly and didn’t take on the same heft as the daemonettes. 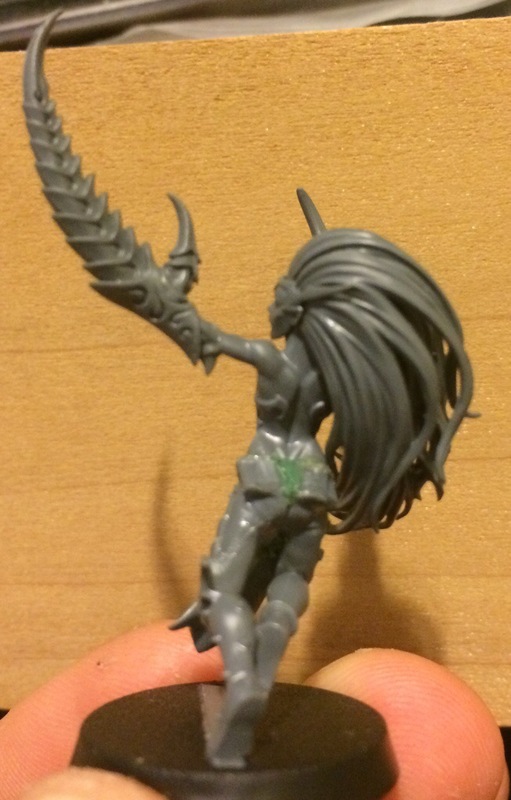 I opted to use the legs from a Dark Eldar wych and add in the really fancy pincers from Herald/Alluress upgrade in the Daemonette kit. I think the results speak for themselves. Here are a few more pictures of the kitbash. This entry was posted in Modeling and tagged Chaos Daemons, kitbash, Slaanesh by Peter Kelly. Bookmark the permalink.